Lace Up Your High Tops! Our new Shooting Stars Basketball Game will definately add the WOW factor to your next event. 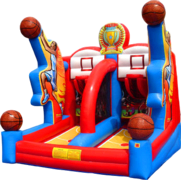 This cool inflatable basketball game will give you the oppurtunity to show off your skills in front of the crowd. 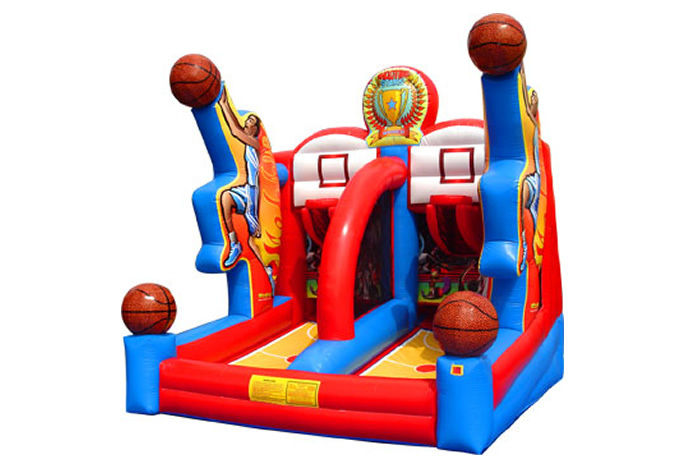 Includes impressive life like hardcourt graphics and 2 basketball hoops that automatically returns the ball to your opponent. First one with no balls left, WINS! Challenge the competition to a fun & challenging interactive basketball Game! Includes ball return. Reserve The Shooting Stars Basketball Today!